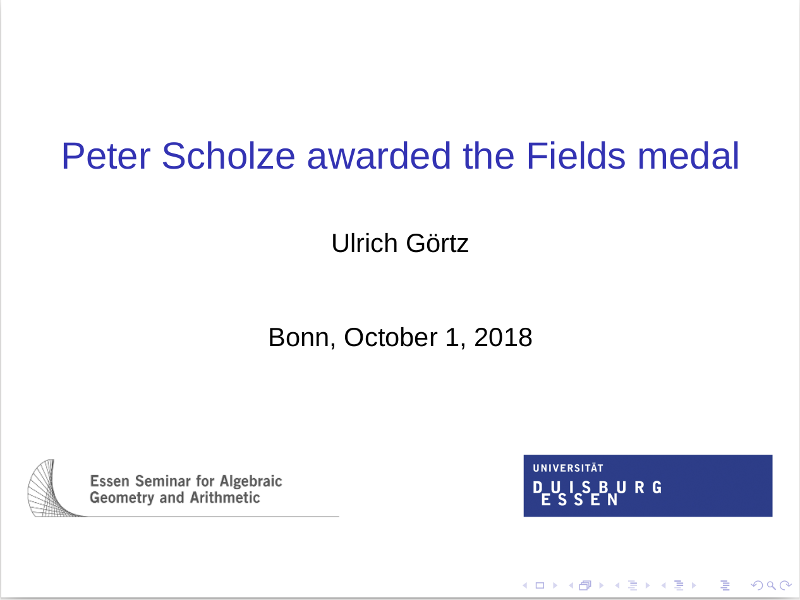 TeX file including image files: zip archive (this includes all the image files used for the slides, except for the logos of the University of Duisburg-Essen and the Essen Seminar for Algebraic Geometry and Arithmetic). You can replace xelatex by the common pdflatex if you switch back to the standard font (comment out lines 52, 53, 56 in the TeX file). 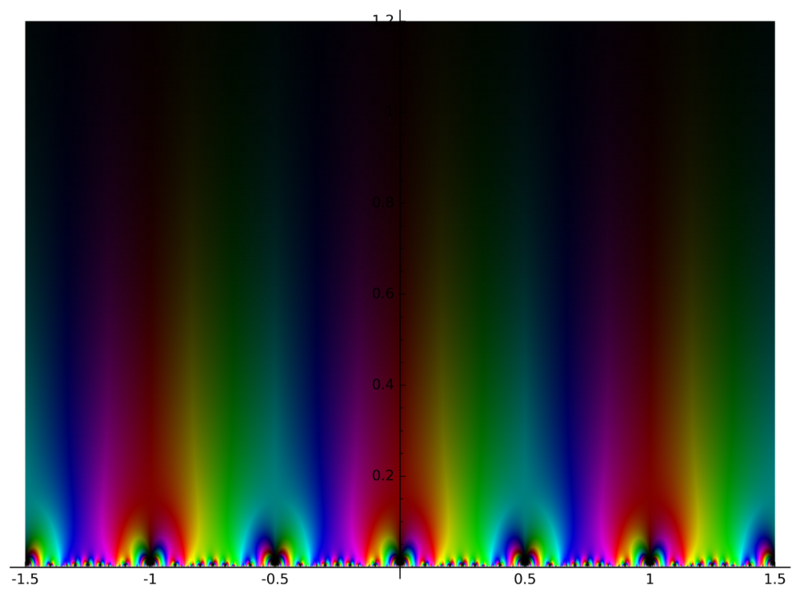 The --shell-escape parameter is required so that TeX can invoke gnuplot and thus produce the plots of graphs of polynomials on the slides (look at the tikzpictures in the TeX file). 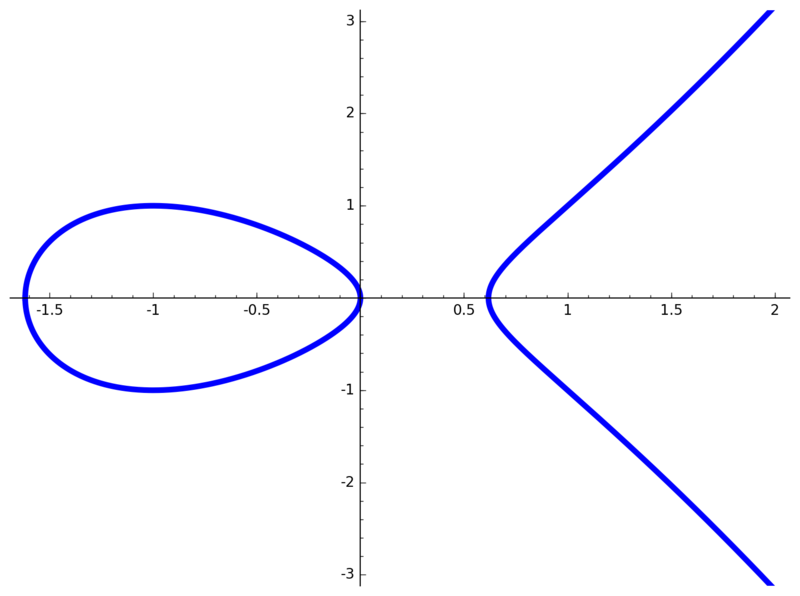 There is also an easy way to plot the fundamental domain for $\Gamma_0(20)$ (the relevant congruence subgroup for the above $E$ and modular form). In the talk I did not use it, though. Feel free to distribute the above pdf as is, or to use what is described above or portions of the TeX file. The pictures of Urbano Monte’s map of the world are made available be the David Rumsey Map Collection under the CC BY-NC-SA license. 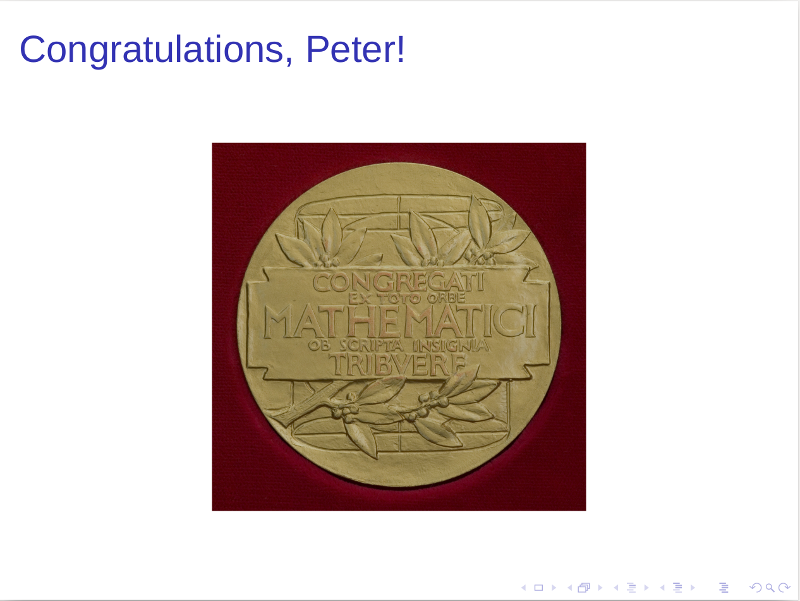 Most other pictures (Fields medal, …) were taken from Wikipedia and are in the public domain. The newspaper snippets are screenshots.